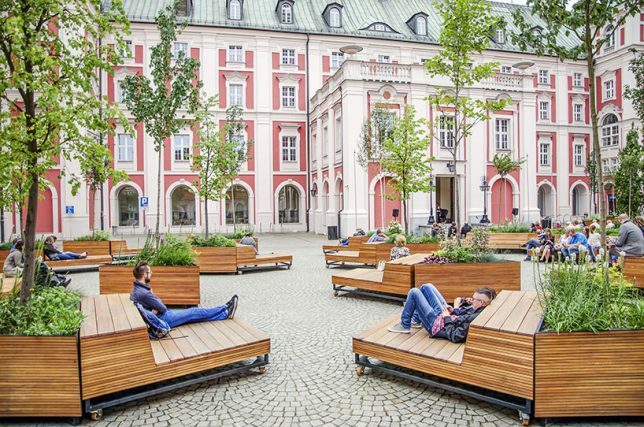 A former parking has become a Green Oasis in front of Poznan, Poland’s city hall, but beyond providing seating and greenery the redesign adds another key element: effectively endless flexibility. 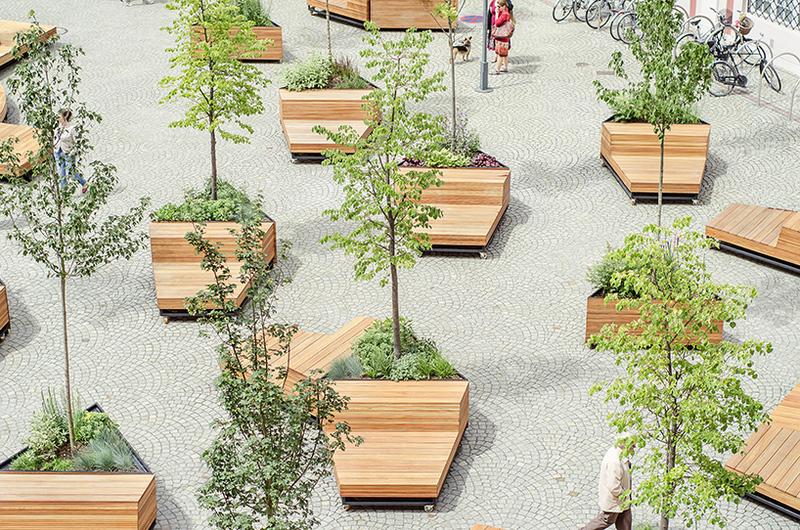 Custom-created benches and planters (filled with an array of taller trees and shorter flora) create a system of mobile street furniture that can be configured in an infinite variety of ways. Normally, independent islands allow small groups to gather. 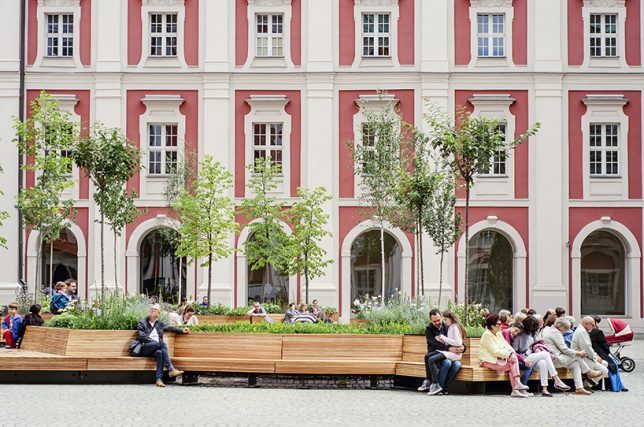 As needed, though, the benches can be matched up for anything from public speeches to in-the-round performances — the modular geometry of the 14 benches and 20 planters allows them to befit together like pieces of a puzzle. 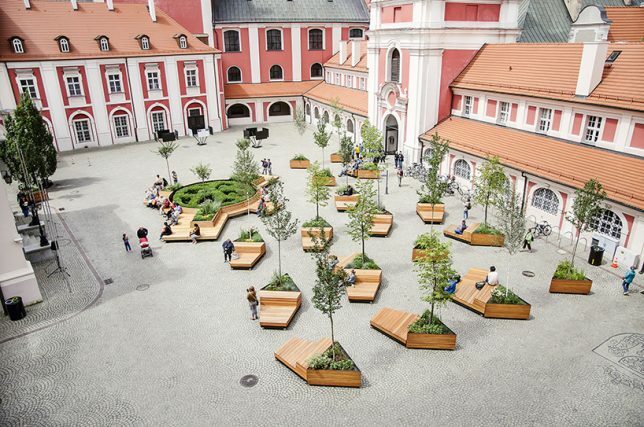 Developed by Atelier Starzak Strebicki, this modular courtyard serves as a gathering space, open-air amphitheater or auditorium — the street furniture elements can also be moved out of the way entirely if the entire square is needed. 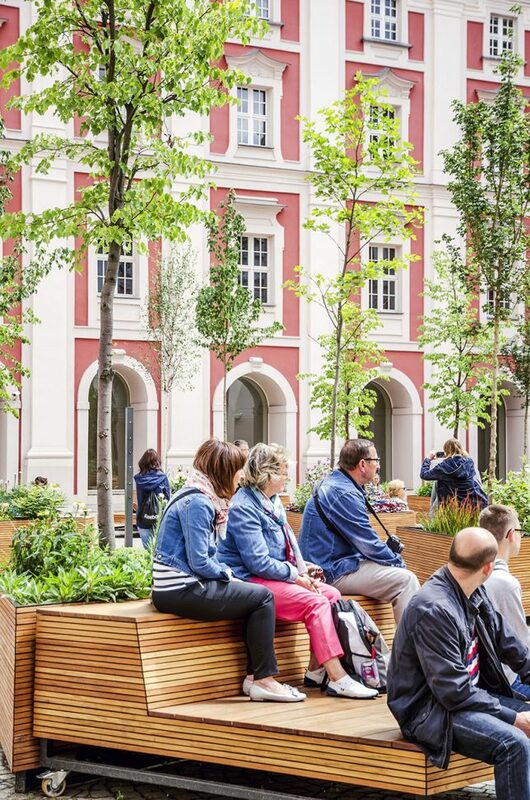 The seats are also doubled-up, allowing people to sit on a higher or lower tier (or both simultaneously for crowded events). 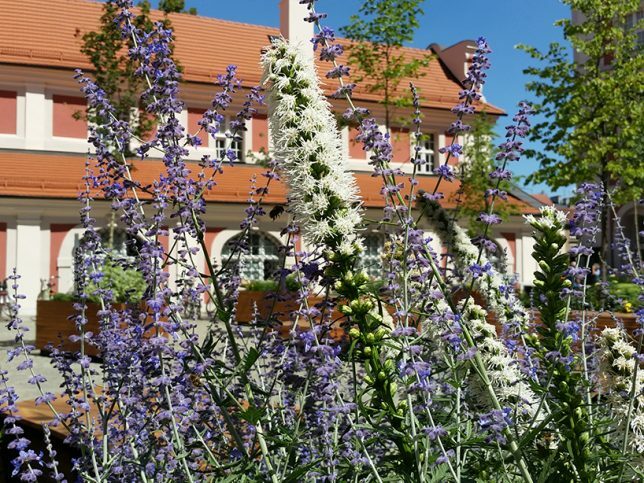 At the same time, the furnishings are sufficiently heavy that no one need worry about someone walking (or rolling) away with them at the end of the evening. 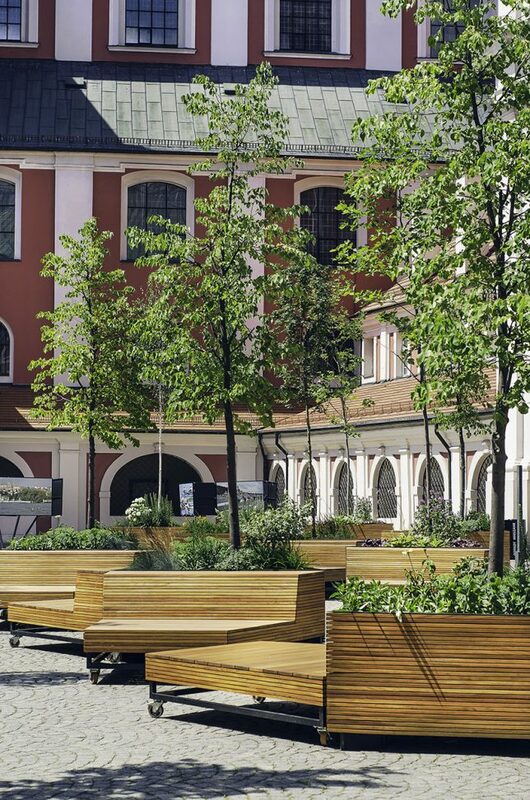 These fairly simple but robust steel-and-wood designs provide a nice industrial-style contrast with their historic surroundings, and suggest another way of thinking about public furniture, one which allows it to serve different functions on demand.